In addtion to being professional coaches, we use our inside out understanding in combination with Vägen Upp®, which is a leadership development program for both managers and employees. Vägen Upp (translated: Upway) helps individuals effectively increase their ability to lead, create results and to quite simply become a better human being allround. It is an extensive program that runs over an 8 - 10 month period. Read more below or go to www.vagenupp.se. Both are also certified specialists in the psychometric test system Jobmatch Talent®, which is an in-depth precision test for recruitment and development, for individual employees and managers as well as for groups. We also use Jobmatch Talent as an initial step in various development processes in order to raise awareness and get a clear picture about which strengths there are and where possible areas of development may be. We also use Jobmatch as a powerful team development activity, which both increases the self-awareness of the individual team members and also builds trust and group security with increasing the understanding of our differences while also inspiring the group to better utilize its development potential and better manage conflicts. How can we further develop our strengths and utilize the strengths of the group better?/How can differences be a strength and asset in a company? /Which are the most common Achille's heels in a group context?/ What creates a strong team? /How does good / bad communication affect the group and the company?/How do you handle differences/conflicts in an efficient and productive way?/How can we give more and better feedback ? During the team day, the participants learn more about themselves and their colleagues, both as individuals and in group contexts, and together they create clear guidelines for effective and amiable cooperation. For more informatin go to www.jobmatchtalent.com. Vägen Upp® is also developed as an employee program. The program is for employees who have the desire or need to develop their personal leadership. The objective to is optimize their contribution in their work roll, creating the best results for the business, becoming a better person and perhaps even preparing for a future leadership role. The program lasts between 4 - 6 months and the coaching takes place 4 times every 3 - 5 weeks. Vägen Upp® is a Swedish values based and goal oriented leadership development program that has existed since 1998. The program is a powerful tool and runs over a period of 8 - 10 months. Actual results are created by working on specific goals that integrate the individual, the leadership skills and the organisation. The main focus is on relevant challenges within the organisation, the leadership skills and life as a whole and effectively helps individuals develop with lasting results. The program lasts between 8 -12 months and the coaching takes place 8 times every 3 - 5 weeks. JobMatch Talent is an in-depth and pedagogical precision test for HR, managers and employees. 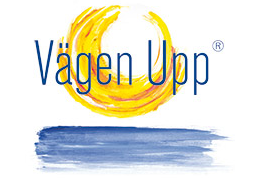 Vägen Upp® is a leadership development program which runs over an 8 - 10 month period. JobMatch Talent (JMT) is an in-depth precision test used for recruitment and personal development and can be used for individual employees, managers as well as for teams.With 30 work-related features, it gives you a very nuanced picture of the person who has tested. JobMatch has been reviewed and certified by DNV-GL and developed to predict actual work performance.The practicality of JMT is that the test can be used at all levels of the organization, from production, service and administrative personnel to the managerial level. With our matching tool, you can integrate the JobMatch Talent result with any of our 145 job profiles. Not only do you get an accurate indication of the person's performance, you also get a powerful recruitment test where you can instantly see how well the person matches the requirements for a specific role. VUCA is the acronym to describe the fast-changing and unpredictable world we live in. But what does VUCA mean for you as a leader? And how does VUCA affect your employees and partnerships when the world is constantly changing? We are affected regardless of whether we are aware of it or not, but if we talk about it, we open ourselves up to new perspectives, new ways of understanding each other, the whole world might feel a little easier, slightly less lonely and a bit more manageable. Together we can create a more positive version of VUCA.